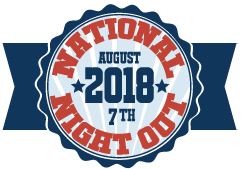 Click here to register your 2018 NNO Event. The Department of Public Safety’s National Night Out Resources page is where you’ll find contact information to invite public safety personnel, helpful links, and the City of Pittsburgh’s National Night Out Planning Guide to help you plan your own neighborhood celebration! was a great success! Many neighborhoods registered with the city and had a blast celebrating with neighbors and public safety personnel. Thank you all for your participation in making Pittsburgh SaferTogether!